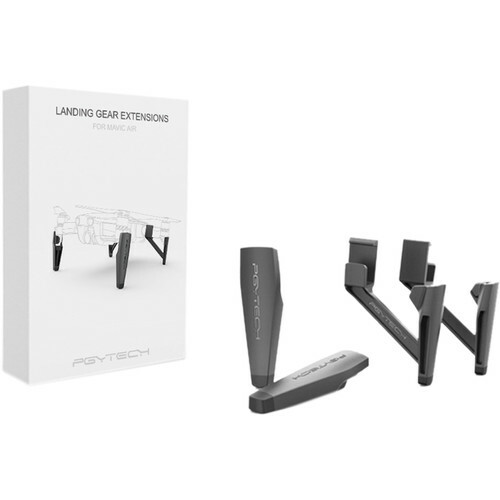 These PGYTECH Mavic Air landing gear extensions help raise your drone off the ground for safer take-off and landing on rough terrain. 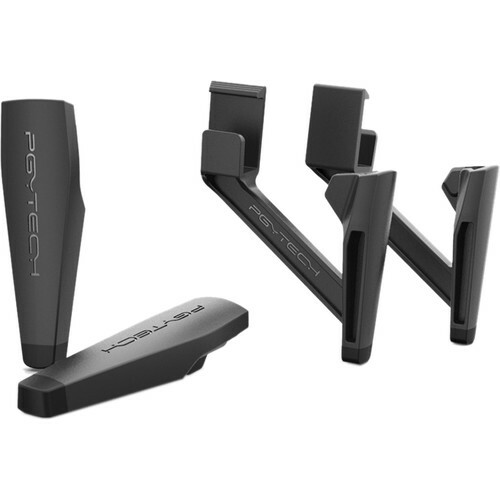 These elegantly designed landing gear raisers will rise your Mavic Air Drone with 35 mm off the ground. 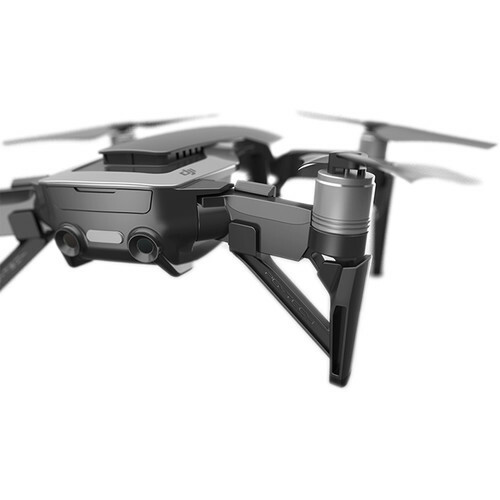 This provides greater ground clearance and allows you to safely take-off and land on any terrain without risking damage to the camera gimbal or the drone body. 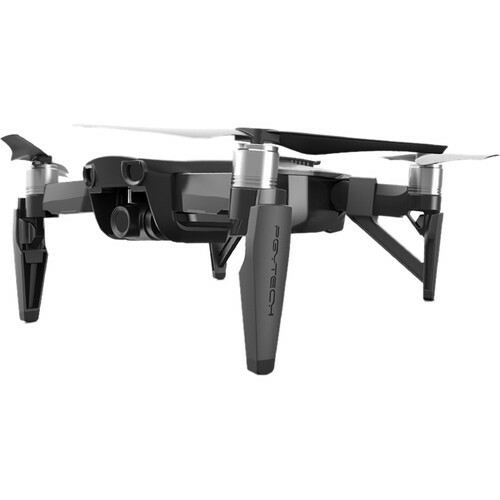 The PGYTECH landing gear extensions for Mavic Air are designed to seamlessly and perfectly match your Mavic Air Drone. Soft silica gel cushion pads effectively decrease the vibrations when landing, and prevents the risers from falling off during flight. The raisers feature a quick twist-on installation design that will take minimal time, so you can focus on your flying experience. The raisers fits precisely and snaps to the fuselage, so you don’t need to use any tools or screws.